How about becoming a planet Mars colonist? David Bowie can stop wondering about life on Mars, if there wasn't any, soon there will be. Mars One co-founder and CEO Bas Lansdorp has just announced that the company is about to start recruiting potential colonists for a pioneering settlement on the red planet. From July 2013 to July 2015, wannabe astronauts will be able to submit their 1-minute video applications to the Netherlands-based nonprofit organisation through their website for a $25 fee. Soon after the deadline, the company will then select 24 people, divide them in six groups and send them off for a 7-year long training, which will be shown on television. Just like in a reality show, the final decision will be left to the audience, who will pick the four astronauts that will permanently move to Mars by voting for those they deem more suitable. 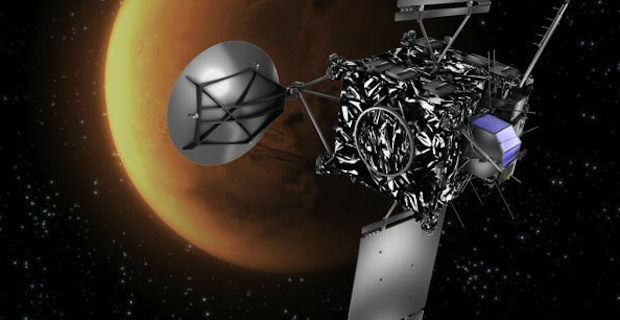 The money raised through television revenues will be used by the company to partially fund the mission, whose final cost is of an estimated $6 billion. Even though the spaceship that will deliver the four lucky ones to Mars hasn't been built yet, the organisers of the one-way trip have already defined most details of this remarkable project. The settlement on Mars will initially have two habitats (connected by tunnels to avoid radiation exposure), inflatable greenhouses, rovers, two life support landers and two supply landers. Water will be somehow extracted from the Martian soil and nitrogen from the atmosphere will be used to grow crops. A second group of settlers will join the first four astronauts by 2025.